The Transformation of Chinese Diplomacy: What Should the World Pay Attention To? Scholars in both the United States and China need new paradigms in understanding one another. In a recently concluded academic conference on China’s diplomacy, co-organized by China’s new foreign affairs think tank, the Intellisia (Haiguotuzhi) Institute, and Jinan University in Guangzhou, several important questions on China’s current foreign policy were considered. Although there was no consensus on this complex subject, the outside world should pay serious attention to the following questions when trying to understand a rising China. First, there was a consensus among conference participants that China’s diplomacy is undergoing some significant changes. Nobody disagreed with this. Rather, the debate was about what these changes should be called. Is it a ‘transformation,’ which implies a rather different approach? Or is it just a policy ‘adjustment’? Either way, scholars agreed that we should view China’s diplomacy through a new theoretical perspective. Second, what factors can explain such changes in China’s diplomacy? Obviously both international and domestic factors contribute to China’s new foreign policy behavior, such as its new assertiveness in the South China Sea. Is it because of China’s increasing power status? Or is Beijing just responding to the United States’ so-called Asia pivot? And how much influence does the top Chinese leadership exercise on China’s diplomacy? 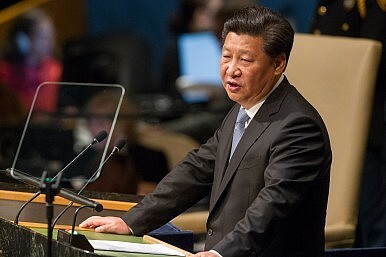 Almost everyone would seem to agree that Chinese President Xi Jinping has had a tremendous impact on China’s foreign policy, but we should inquire as to the extent to which this is true. How do we separate systemic and institutional influences from an individual’s influence? Third, how do we evaluate the successes and failures of China’s new diplomacy? It might be the case that Chinese scholars tend to emphasize the successful elements of China’s new diplomacy, whereas foreign scholars tend to emphasize the negative side of China’s new foreign policy. Either way, scholars on both sides should develop a more systemic and coherent framework within which objective assessments of China’s diplomacy can be made. Perhaps a more effective way would be to analyze China’s foreign policy by putting oneself in the other side’s shoes. This means that Chinese scholars should try to think from a Western perspective, and Western scholars should try to think like their Chinese counterparts. This way we can avoid some of the widespread self-centric bias we usually encounter when thinking and writing on international affairs. Fourth, what are the consequences of China’s new diplomacy, both regionally and globally? This is perhaps the biggest question for outside countries. One worry is that China one day might displace the United States as the dominant power in Asia and even in the world. As a result, it might impose Chinese values on other countries. Of course at the moment China is far from achieving this goal. It might never be able to achieve that goal, but this is a constant worry among some Asian countries, particularly those that hold different values than China’s. Fifth, how does Chinese society and public opinion influence Chinese foreign policy? Admittedly, this is an understudied area, but a very important topic. Although two-way exchanges between China and the United States are increasing every year, there is still a huge gap between the two countries’ mutual understanding. There are about 300 million Chinese people who can read and speak basic English, but how many U.S. citizens can read and speak Chinese? If the U.S. thinks China will become the most important country in the next 20 years, why shouldn’t there be more efforts towards learning Chinese in the United States? It is good news that U.S. President Obama recently announced the ‘1 Million Strong’ initiative, but this is far from enough. On the Chinese side, more objective analyses of U.S. foreign policy are very much needed as many ordinary people are clueless about U.S. domestic politics, which greatly affects U.S. foreign policy. None of the aforementioned questions can quickly and easily be answered . But the importance of these questions are self-evident. For countries like the United States, unless solid answers can be found soon, China will continue to remain a strange country, no matter how many billions of dollars from trade are flowing between the two powers. To formulate an effective China policy, the above questions must be answered adequately. And time is not on our side.